The game of golf has grown rapidly in South Korea, particularly on the popular southern holiday island of Jeju, home to the super-exclusive Club at Nine Bridges. 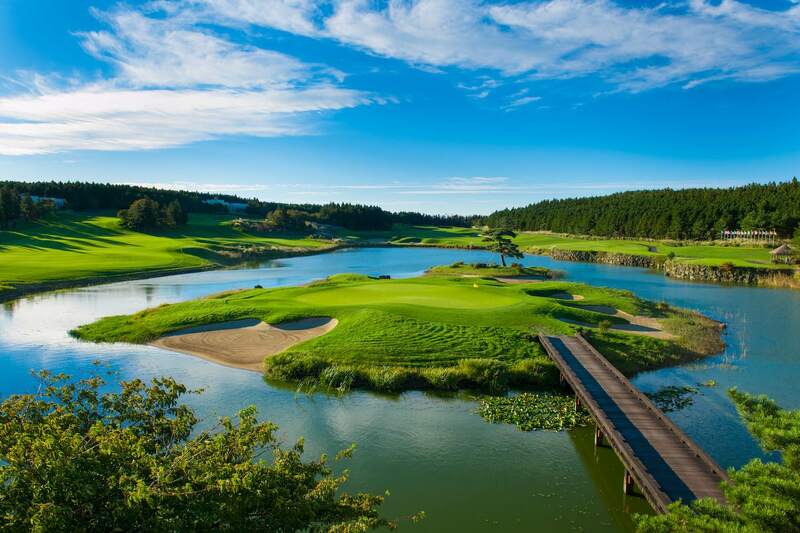 Founded by the grandson of the Samsung visionary, the course takes its name from the eight stone bridges that span the site’s lakes and wandering creeks, the ninth bridge being a metaphoric link between the club, its members and the game of golf. Nine Bridges is located 600 yards up Mt. Halla and surrounded by National Park. 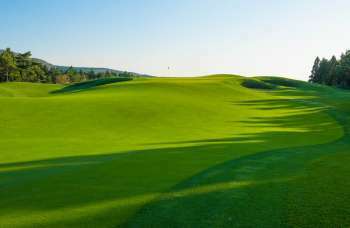 A pure golf experience without any outside distraction or residential component, the club cost close to US $100 million to build and is best remembered for what are superbly maintained bentgrass playing surfaces. 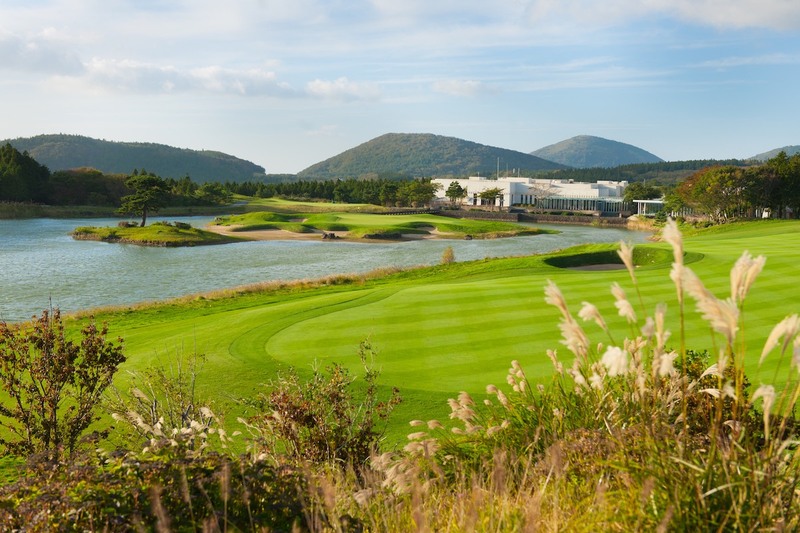 Beyond great grass, the fairway shaping is also at a higher level than most courses in Korea. 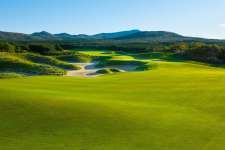 Designer Ronald Fream thankfully concentrated less on mounding here and more on creating realistic internal movement and natural looking golf holes. 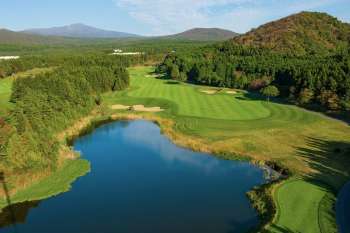 Set out in two distinct nines, the course begins with the heavily treed and rolling outward nine and closes with the lake infested back nine, strangely considered by the club to be its Scottish side. 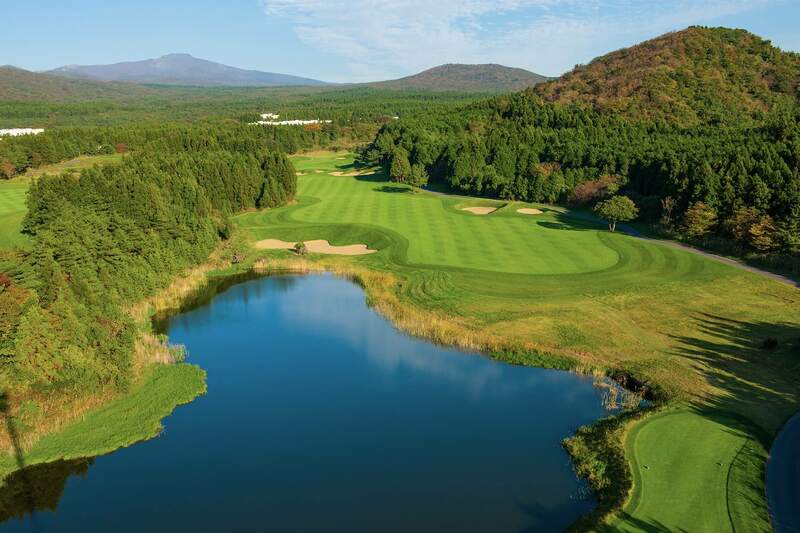 The front nine is very good and actually has a distinct British feel with some nice plateau greens, a Redan-shaped par three and even a Principal’s Nose bunker complex. 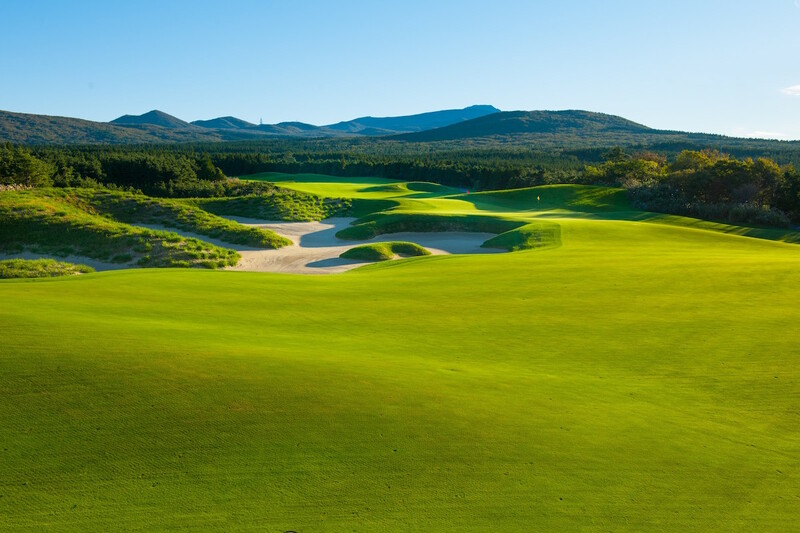 The more open back nine is less impressive and a much more modern, Americanized form of golf design, complete with a cliché par five finisher that bends almost 90 degrees toward an island green. While the deterioration from front nine to back here is disappointing, there remain enough good holes at Nine Bridges to recommend the course for those sufficiently connected to be able to get through the gates.